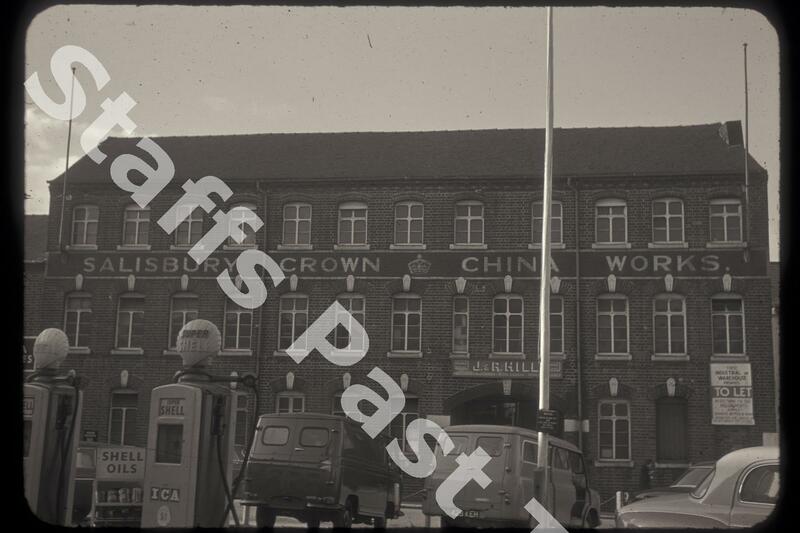 Description:Salisbury Crown China works was on corner of Edensor Road & Stafford Street (The Strand) in Longton. 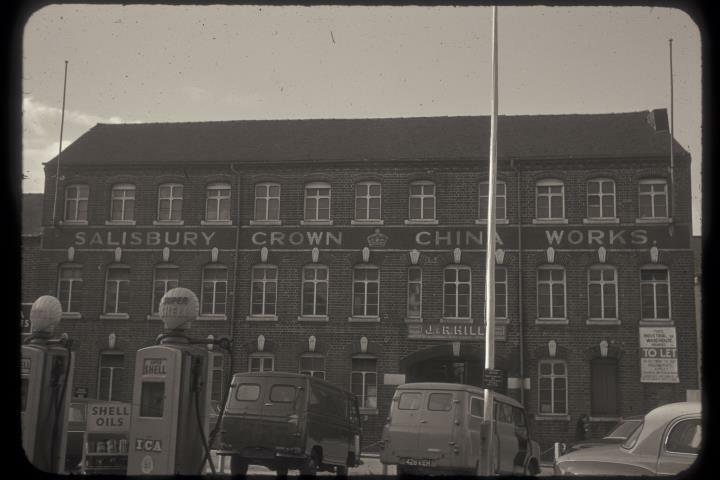 The works were operated by Thomas Wild & Co until 1927 when it became part of Salisbury Crown China Ltd. who produced fine bone china until the works were closed in 1961. The site is part of the commercial redevelopment of Longton and the A50.